Create a unique fluid art masterpiece on an 8×10 canvas. 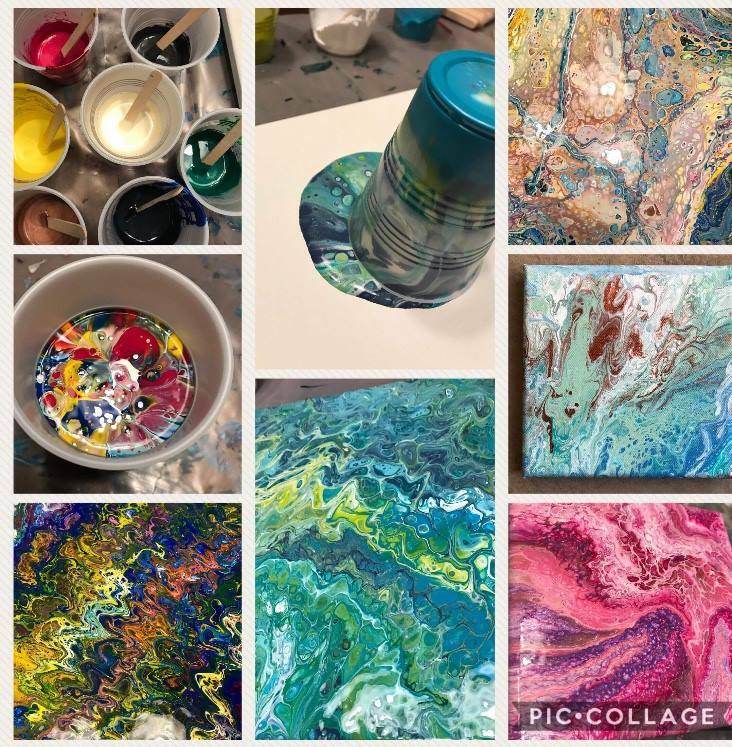 Learn the art of poured acrylic painting, including supplies used, techniques, and how to choose complimentary colors. All supplies are included. Please bring or wear an old shirt. A tray will also be provided to transport your piece home to complete the drying process. This class is scheduled for Sunday, March 3rd from 1:00pm til 3:00pm. End of registration is March 1st. Each ticket is $32. All sales are final. No refunds are given unless the class is cancelled. Class Maximum is 15, minimum is 5.